The neck-and-neck competition between Nanyang Junior College (NYJC) and River Valley High School (RVHS) resulted in the first tiebreaker of this year's The Straits Times-Ministry of Education Current Affairs Quiz season. Both teams got the first tiebreaker question correct, but the home team NYJC triumphed when it answered the second question correctly yesterday while RVHS did not. "We were very nervous at first, then we became excited, then nervous again. It's like a roller coaster of emotions," said NYJC team member Lionel Lim, 17, whose team won $600 in vouchers for being champions in the fourth round of The Big Quiz. The RVHS team, as well as teams from Innova Junior College and Serangoon Junior College, won $150 in vouchers. Before the quiz, ST sports correspondent Jonathan Wong spoke about how technology has disrupted the sports industry. He explained how the introduction of detailed data analysis, science and engineering has greatly altered the way athletes have trained in recent years. This was significant for Singapore's Joseph Schooling, who won the country's first Olympic gold medal last year. For instance, Schooling received hourly prompts detailing what he should have been doing during certain times of the day - such as what types of food he should be eating, or whether he should be sleeping - in order to achieve peak performance. Technology has also made the sporting climate more competitive, as athletes use technology to narrow down winning margins to a hundredth of a second. However, the reality remains that "big countries with more money have more access to technology, and that helps them gain an edge over other countries", he said. For instance, Britain spends US$1.5 billion (S$2.1 billion) annually on sports infrastructure and training, which is equivalent to the gross domestic product of San Marino, a tiny state in Europe. Eunoia Junior College student Tay Jie Qi, 17, asked if Singapore could afford to invest resources in sports. Mr Wong replied that while things such as healthcare have to be prioritised, "to not place importance on sports would be silly, because it brings people together". He also addressed a question on whether the spirit of sportsmanship has been lost through countries' pursuit of medals. Said Mr Wong: "I think the stakes are definitely higher, and that people and countries are obsessed with winning. "But I don't think that in the pursuit of excellence we will lose out in these moments of sportsmanship." The Big Quiz - a combination of a current affairs game show, talks by journalists who are experts in their beats and weekly primer articles - promotes an understanding of local and global affairs among pre-university students. 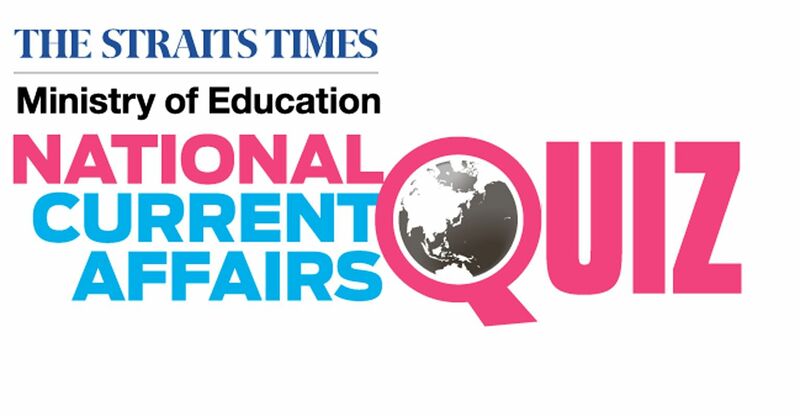 Co-organised by The Straits Times and the Ministry of Education, with Singapore Press Holdings Foundation as its presenting sponsor, The Big Quiz is currently into its sixth year.